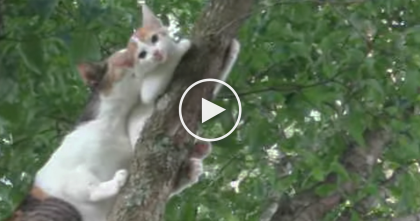 He’s On His Computer, But Now Watch Where The Cat Sits… This Is The Cutest Thing EVER. Sophie the kitty loves being with her owners, but when things get really interesting on the computer, Sophie likes to jump right up on his shoulders in the cutest way ever! The cat seems to be riveted on whatever’s on his phone’s screen, but the crazy thing is this kitty sits here for quite a long time and doesn’t even want to leave! 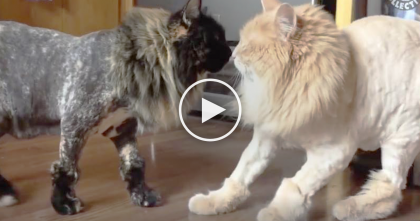 They Cut This Cat’s Hair, But When His Sister Sees Him…OMG The Reaction Is Just Too Much! 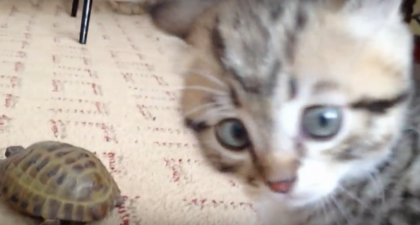 Fuzzy Little Kitten Notices Animal He’s Never Seen Before…His Reaction Is Just PRICELESS. 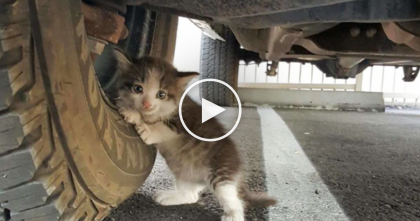 Man Finds Shaking Kitten Underneath Truck, But When You Look At That Face…Oh WOW!